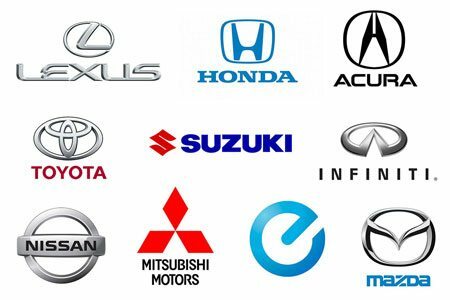 If you have got a Japanese car and would to wreck it for a quick cash than we are the professionals in the game of wrecking cars, if you are not very familiar with the brand of car that you have got we have briefly explained below different types of Japanese cars we wreck on daily basis apart from the make of your Japanese car you should also look at the model, for example, Toyota Corolla , Toyota is the make and corolla is the Model, not year, most of our customers think the model as year of the car, Why it’s important? Many models have a huge demand in the wrecking industry thus allowing us to pay you maximum cash, therefore, its good idea to have the model handy when you call us. Are you looking for a Toyota wrecker in Dandenong, Ringwood or Laverton north or near you? We at Wreckeroo deliver used and tested Toyota parts across Melbourne at a very competitive price. At our Toyota wrecker Melbourne section we dismantle all models of Toyota cars, we test every part and polish and clean them before put for sale to our customers. We have a dismantler team who specialize in wrecking Toyotas and other makes of Japanese trucks. We Buy Any Old, Damaged and Unwanted Nissan Cars, Trucks, Vans and Utes Up to $28,999 Cash paid, we come to you for a free quote. At our Nissan wrecking yard in Melbourne we pretty much wreck all models of Nissan, from cars to Trucks and 4wds we are able to provide second hand Nissan car parts to all Melbournians at a very low price, so if you are after a Nissan Wrecker in Dandenong or Laverton North and Ringwood we have got you covered not only where we are located but we can deliver used Nissan car parts to all areas of Melbourne including Melbourne South Eastern Suburbs, Melbourne Western Suburbs Melbourne Northern Suburbs and Melbourne Eastern Suburbs. Some of the major Models of Mazda we wrecker are as follows. In Mazda Cars: Mazda 121, Mazda 323, Mazda 626, Mazda 929, Mpv, Mx5, Mx6, Premacy etc. Mitsubishi is also a well-known model in Japanese cars, we have a huge section for all models of Mitsubishi Cars from 1990 to 2019 year models. We buy unwanted Mitsubishi Cars and Vans and pay the unbeatable price, we can pay you up to $28,999. Below is the list of some of the models of Mitsubishi we wrecker every day. Mitsubishi 380 colt, delica, Cordia, Express, Lancer, Magna, Varada, Nimbus, Mirage, Outlander, Pajero, Sigma, Starwagon, Triton. So if you are looking for a Mitsubishi wrecker in Melbourne, we are the company you would want to call. We are very famous Mitsubishi wreckers in Dandenong and Laverton north, we have over 100 walk-ins every day looking for Mitsubishi car parts. Our Hyundai auto parts section is also very busy dismantling Hyundai cars and vans recently we have been wrecking many Hyundai I loads and we have a huge stock of many year models of Hyundai ILoad. Some of the models of Hyundai we wreck are as follows. Hyundai excel, Hyundai Sonata, Accent, Coupe, Getz, Grandeur, I20, I30, Lantra, IMAX, Terracan, Santa Fe, Tiburon, Trajet, and Tucson. We Pay cash of Up to $28999 Cash for Hyundai Cars and Vans. We come to you for a free valuation. Or you can drop it off to one of our yards. We wreck all models of Subaru cars from the year 1990 up to 2019. It takes to be a very well mechanical to take out Subaru mechanical parts without damaging the part itself, therefore, we have a well-trained Subaru car dismantler in our yards not only we sell Subaru used auto parts we are also able to fit it for you at an hourly rate. Some of the models of Subaru we wrecker. Get instant Cash for your used Car or Cash for Cars Subaru of Up to $28,999 today. Wreckeroo is a very professional Japanese car wrecker in Melbourne and is rapidly expanding across Australia, we specialize in wrecking all models of Japanese Cars and Trucks.